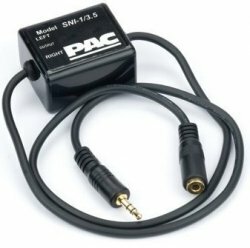 Eliminates ground loop noise between the MP3 player or other audio source and radio (head unit). For use with portable devices that have a 3.5 mm audio plug. I found your web site on google when I was looking for LED lights for my scrapping trailer. I'll be restoring a used motor home with a friend soon and I'll be sure to recommend you to him. From finding you guys to getting my UPS delivery I had a perfect experience with you. Donald K.